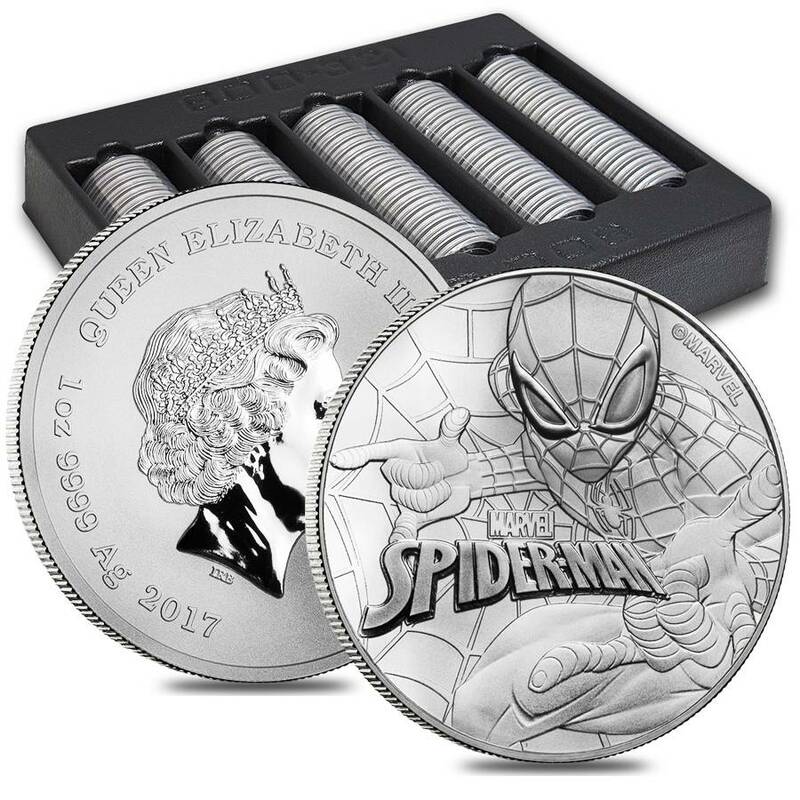 This fantastic 2017 1 oz Tuvalu Spiderman Marvel Series Silver Coin is special release featuring the worldwide famous hero - the insanely popular Spider-Man. The iconic Marvel hero, Spider Man, was created by the writer-artist Steve Ditko and writer-editor Stan Lee. Peter Parker, the original comic-book hero, first appeared in August 1962, in the 15th issue of the anthology comic-book: Amazing Fantasy. Ditko and Lee gave the web-slinging hero super powers by being bitten by a radioactive spider, thanks to which he got the speed, strength, and agility of a spider. Peter gained the ability to shoot spider-webs and cling to most surfaces, received a special spider-sense and a superhuman strength, being over 15 times more agile than a regular human. 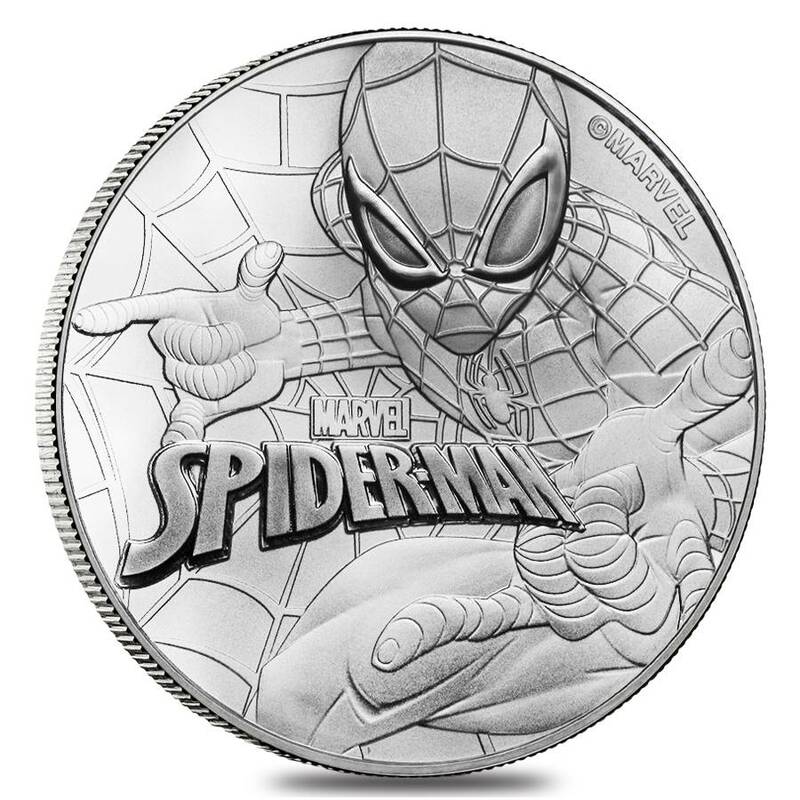 With a limited issue of only 50,000 coins, this spectacular silver piece bearing this legendary comic book character is an excellent addition to any portfolio and a treasured gift for any Marvel fan. Coin contains .9999 fine silver, weight of 1 troy ounce. Produced by the prestigious Perth Mint. Limited mintage of just 50,000 coins. Individual coin offered in an acrylic protective capsule. Multiples sold in 20-coin rolls. Bears a $1 TVD face value. 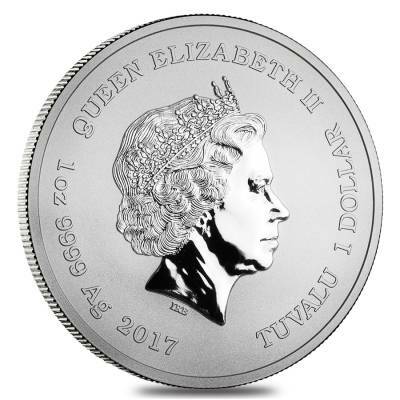 Tuvalu legal tender coin backed by its Government. 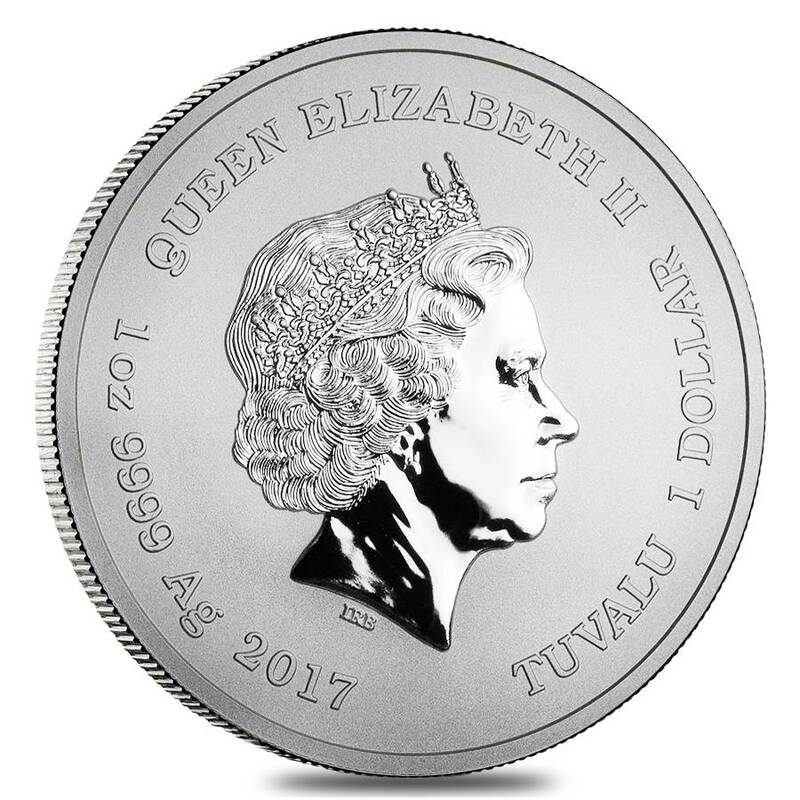 Obverse: Showcases the effigy of Her Majesty Queen Elizabeth II, encircled by the engravings “Queen Elizabeth II”, “Tuvalu”, “2017”, the coin’s purity, weight, and denomination. At Bullion Exchanges, you will find the newest and most exclusive bullion coins of the highest quality. Order this exceptional 2017 1 oz Tuvalu Spiderman Marvel Series Silver Coin and it will be carefully packaged and shipped to your address. For any questions, just call us at 800.852.6884, or send us a message, and our customer service representatives will happily assist you. I used to be a huge Marvel fan, and after seeing this beautiful coin it brought back some memories. It also helps that it came quickly at a low price!! Thanks BE!! Just 5 stars!! Great coin! I love this spiderman coin! Its design is unique and the quality is exceptional. Thanks for fast delivery! Fantastic coin! I love the design and the finish. Great gift ! This coin is gonna be perfect addition to my collection! I was looking for smth special as a gift for myself on B-Day. So, I got it! I love all Marvel heroes!!! Thank you BE. Wow! For all the spiderman and Marvel fans like me this is a super gift! Love it! So cool and impressive. Just placed the order for me and my younger brother! Cannot wait to get it! 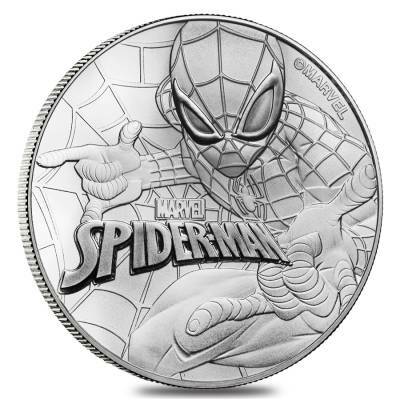 Oh, my son is a huge fan of Marvel series and this coin comes just on time! 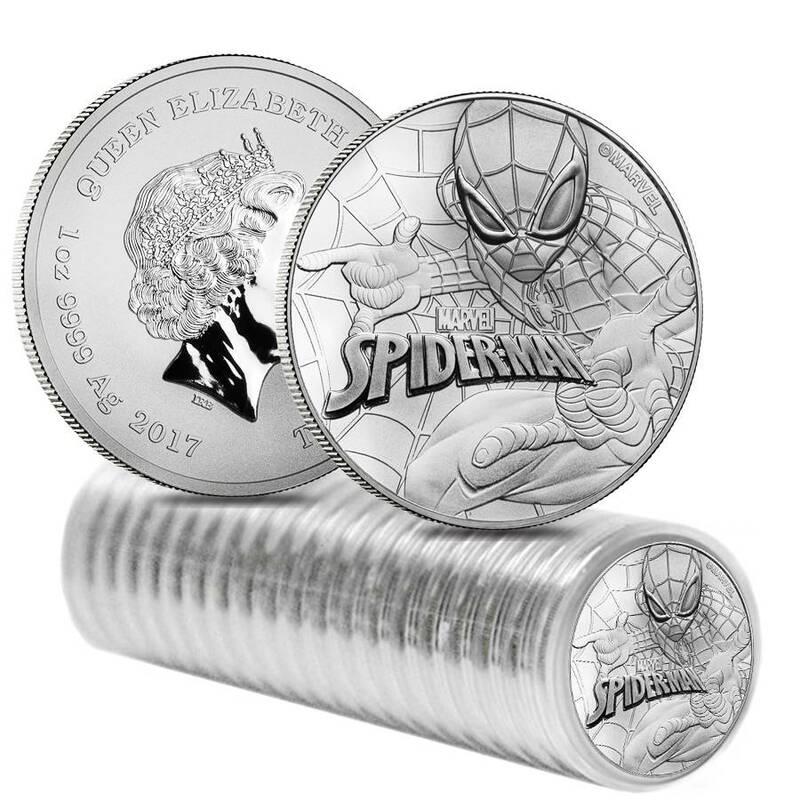 The new Spider-man movie was released and I decided this silver coin would be a good start for my boy to become a precious metals collector. Thank you Bullion Exchanges for pre-sale option. I also saved money with your great price!!! Awesome coin! Can't wait to get it, it's a PERFECT gift for my brother! Thanks BE, you are the best! For every $1 spend, you will earn 1 Bullionaire Buck which is equivalent to $0.001 off a future purchase. 24 BB = $0.02.